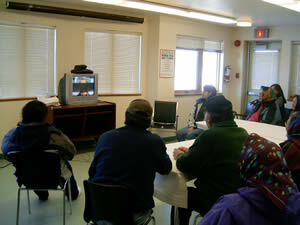 Webequie KO Telehealth offers the community to use the new technology to vist one and other. 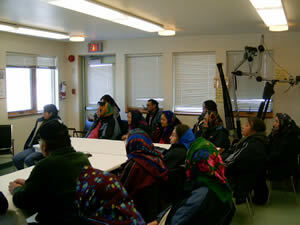 Webequie elders visited other KO Telehealth surrounding community elders in the NAN region. One of the families visited an elderly patient that is in a Home of the Aged in Thunder Bay, Ontario by the use of the Video Conferencing. KOTH offers "Elders Visitations" once per month. Family Visits can be arranged by your local Community Telehealth Coordinator.